A new year is approaching and we see this as a time to start fresh, a chance to start new and to get rid of the old you from the past year. It’s a time to make resolutions to become a better version of yourself and to improve on certain aspects of your life. 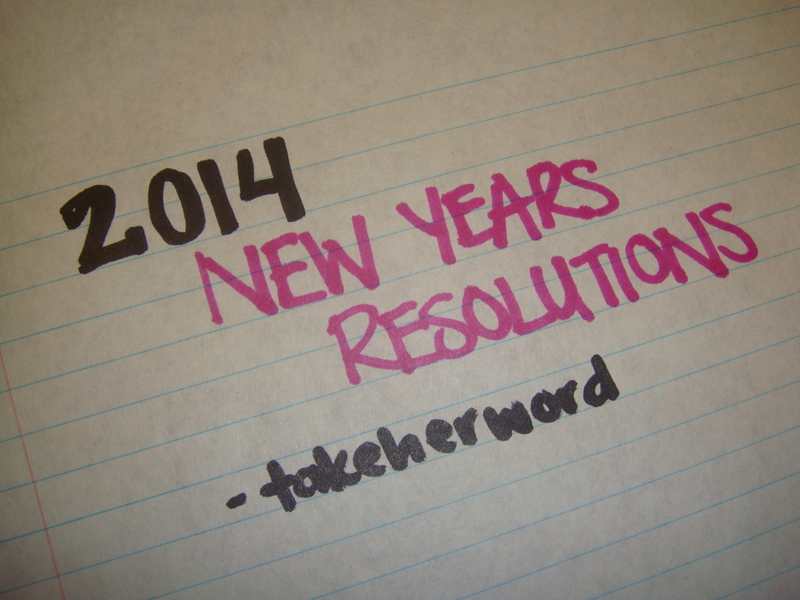 Here is a list of 15 resolutions in no particular order that you should make in the new year of 2014. Some may not apply to you, but it’s always nice to have a reminder & to keep it up. – Get fit/lose weight. Go to the gym more often, but don’t beat yourself up if you didn’t get a chance to. There’s always tomorrow. And with all these health concerns popping up everywhere these days, maintaining a healthier weight will at least lower your risk. Don’t let it become too late before something happens. One word: PREVENT. You will also feel better when you are at an ideal weight. Set a goal and stick to it. For real this year. – Learn something new. Whether it be a new skill or new language for instance, engage in something that will make you better yourself. – Cross something off your bucket list. Example: bungee jumping or sky diving etc. If you keep putting it off, when else will you get the chance? Make it this year to accomplish something big. – Conquer your fear(s). Muster up the confidence and just go for it! – Pay it forward and just do good for others and the world— help strangers any chance you get; a helping hand is always welcome. – Don’t always judge a book by it’s cover. Get to know something/someone better before you assume their worth/value/personality. – Get rid of enemies and frenemies. Apologize for wronging someone and accept apologies from those who have hurt you. Stop the hate, we need more love in this world. – Spend less time worrying about what others think and say. People will always talk, but be the bigger person because you can’t always please everyone and others only judge because they’re unhappy with themselves or are envious of you. Keep that in mind. – Turn off your phone or keep it away when you’re with good company (friends, boyfriends, girlfriends, family members etc.). Stop checking twitter/facebook/instagram/pinterest/tumblr and enjoy the quality time with those you care about. – Be on time or earlier even. Tardiness is unacceptable. Nobody likes waiting for others. – Enjoy life to the fullest and with no regrets. Tomorrow is never promised so live for today. Happy new year & all the best to you & yours!